You can Download the file. Oooooh Angry Birds!!! I love it - thanks so much. OMG Sher!! This is truly AWESOME!! My hubby... lol.. yes I said my hubby... has just started playing this game. He got a tablet for Christmas so it was actually one of his first downloads on it. I myself don't understand the game... but he seems to really like it. Even though, I it was made for children. lol! Sooooo... I am planning on using this for his bday party next week!! YOU ARE AWESOME!! Thank you soooo much!! What a great file. Thank you. Thanks so much for sharing your creativity with us! What a great kit! Thanks. Do you have any plans for Bubble Guppies svgs or printables kit? My granddaughter LOVES them. thanks heaps! =) love it! Love these birds!! thank you!! So neat! Thnx for sharing! This is awesome!!! Thank you so very much, my boys will love this!!! Thank you so much! That is super generous of you to offer these amazing printables for free! Thanks sooooo much for sharing! You saved my life... 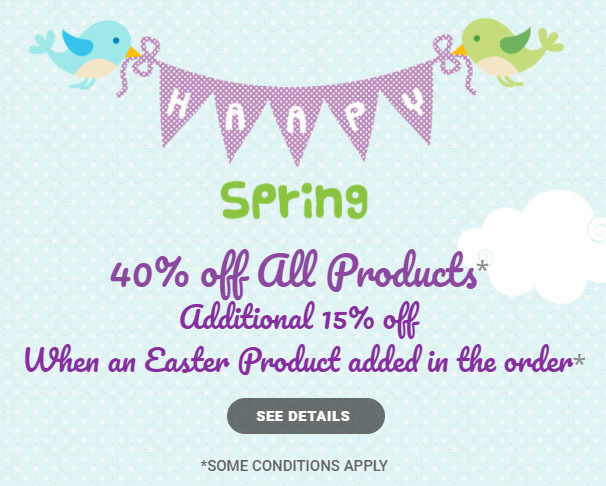 I was in panic mode trying to find angy birds party stuff for my son's birthday party in a few weeks! You are awesome! My son loves angry birds so much...and wants an angry birds themed party. Thanks for sharing, you're a lifesaver! Pinning it as well~ thanks again! I'm planning my son's birthday party with an angry birds theme. Thank you so much for sharing this great kit! Thank you so much!! This is GREAT!! Thank you, thank you! My son's Angry Birds birthday party is this weekend. Couldn't be happier to find your site! You are amazing!!! I feel so much relief! 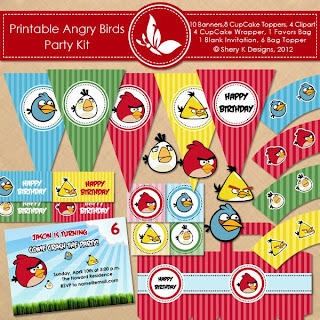 I have been looking for Angry birds cupcake wrappers for my sons birthday next weekend and here you come with an entire kit of goodies! Thanks you are a real life saver!!! This is really so nice of you to provide this! My 5-year-old will love all the little "extras" that will make his Angry Bird party so special. Thank you! Thank you for sharing these! My 5 year old's last minute party doesn't look so last minute anymore, thanks to your printables. Thank you! THANK YOU! This is AWESOME!!! I used this for my son's birthday tonight - thank you so much!!!!! found this on pinterest...thank you! getting ready for my son's 4th birthday and this will be perfect! I am a teacher and I'm going to use your clipart for some cause and effect activities! Thanks!! I just wanted to thank you for sharing your talent! My 6 year old will think he had the coolest birthday party ever! It must have taken so much time to do these. It is greatly appreciated. THANK YOU SOOOOO MUCH!You are utterly generous and talented! Amazing thanks so much! Everything I need! Thank you so much! I love them! Thank you so much! My son will love his 5 b-day party..God bless you!!! Hi. Thanks so much for sharing! I am having some trouble being able to use the font in my invitation. Any suggestions? install the fonts first before you open your image or photo editor. hit the free download button and wait to the 30 sec to pass. I couldn't be happier to have found this! I was about to pay almost $100 for cupcake toppers and wrappers! Thank you for sharing this. My son will be so happy and you just made my life so much easier!!! thanks for sharing this! Appreciate it so much!!!! Lovely! thanks for sharing this! :) Amazing stuff! Thank you! This is a fantastic kit. Great printing quality. I used it for my sons birthday party and several friends have asked where I found this kit - so I've sent them here. found via pintrest - TY! my son will be SOOOOO happy! Sherry, this is awesome!!! Thank you so much. Is there an easy way to add text to the blank cake toppers and the blank templates? I tried making a screen shot and resizing but it gets blurry. Thanks SO MUCH! Awesome, awesome, awesome. please try http://fotoflexer.com/ it's a free photo editor. Thank you for sharing this! I am doing an angry birds party for my three kids (2boys and a girl) and I was able to get the perfect cupcake toppers. Awsome! You just saved me over $300! A party shop quote to arrange an Angry Bird theme party for my grandson! Thank you Sooooo Much!Time well spend on the ever growing Internet and very kind people like yourself! Thank you!!!! Thank you so, so much for this awesome download. It's absolutely perfect for my boys' birthdays! Thank you so much for this amazing download! My 7 year old is going to totally flip out! Thank u so much, u made my day!!! Thank you so much for sharing this for FREE!! I spotted it on pinterest and wondered "great, how much is that going to cost?" What a nice surprise! Can't wait to get started. Thank you so much for sharing all of this! This is going to be a great party! Thank you very much for posting this kit. My 1 year old boy and his friends are totally going to enjoy this.. Thanks so much for sharing. It is very generous of you! You made my day! Thank you so much, I'll use it for my little boy 3rd birthday party!!! Love it! Thank you so much! Thaaaank you for sharing these!! I used them in an Angry Birds party for my 7yr old, and had fun editing them for our party in My Memories. You sure made it easier for me by sharing your kit! I'm doing some party posts on my blog and linking back to you. Thanks again!! Thank you so much for sharing this file! That is very kind of you. Makes party planning so easy! Thanks for this I really am so thankful!!! I take pleaѕure in, cause I discοvered exactly whаt I waѕ having a looκ foг. Wow... Thank you so much!! So cute!!!!!!!! I loved it!!! Thank you so much!!!!!!! Thanks so much!! Make stickers for the kids in my sons classroom and put them on the goody bags that went to his classrooms! It was awesome! It's fantastic. I was looking for these decorations for my son's birthday. Thanks for sharing it. THANKS!! Saved this pregnant mama some time. :) Very grateful! Thank you so very much for this! This is just great and my daughter is going to love these decorations at her party! Thank you so much for this freeby is just that I needed for my boy's party. You are so generous. Just wanted to say thank you! Thank you so very much! I'm so in LUCK! I've been looking every where for these angry birds cupcake wrappers!